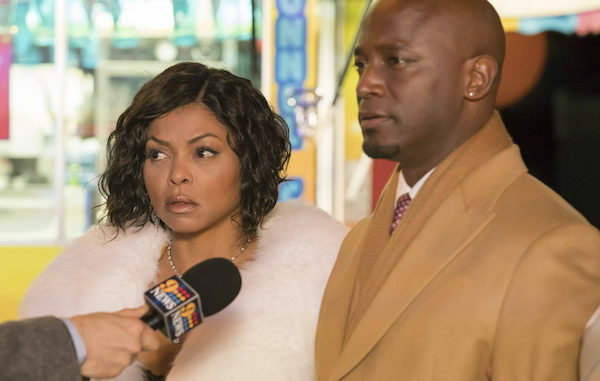 The fall finale of Empire is already here and Cookie is now in charge of putting together Angelo’s People’s Ball, formerly known as the Captain’s Ball, for his political campaign. 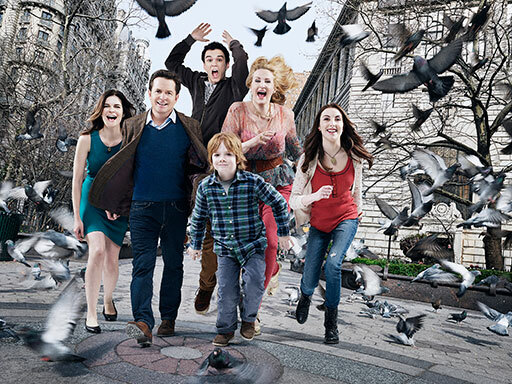 Will everything run smoothly just like she planned? Uh oh. Looks like Freda’s little rapping session that Shine recorded helped Tariq pin her father’s death on Lucious with some more clues. The initials MM and BK were seen in an email associated with Lucious and once Freda rapped about the men whose initials these belonged to, Tariq had a crystal clear connection between the two men and Lucious. Journalist Edison Cruz is set to publish a story that could hurt Angelo’s reputation and his mom, Diana, wants Lucious to help persuade him to back off. 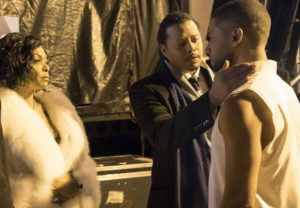 What she offers Lucious in return for his kind act is to end Cookie’s relationship with her son. Dang, momma! I don’t understand Lucious and Anika’s relationship. First they want to kill each other, then they’re sleeping with each other. Either way, Anika has had it with Lucious’ mom. She tells him that he has to decide between her and Bella or his mom. I think Anika is the only one really providing him with anything so this should be interesting. Jamal says he’s perfectly fine and off the pills but I’m not buying it. Neither is Cookie. She tells Jamal that if he’s off the pills like he says he is, then he can hand them over to her. He hands over one small bottle but Cookie knows too well that Jamal has more than just that. She starts investigating herself, making Jamal come clean with all the bottles he’s hiding. If he has to hide pills in his cereal box like an addict, he needs some help! No need for him to worry about cutting his pill supply off. D-Major can always provide him with more. Lucious was able to hold up his end of the deal by stopping Cruz from publishing his story that would hurt Angelo, but it doesn’t look like Diana is going to do the same. Cookie is Angelo’s lucky charm. She’s helping push him ahead of his competition, according to the numbers. No way is Diana going to ruin that. Nessa tells Andre that she’s not going to baby him like Rhonda did. She wants him to deal with his bipolar disorder on his own so he knows how to deal with it. However, she did say she’s going to stay by his side. Someone else that’s not going to leave his side is his ghost wife, Rhonda. Jeepers! Finding out that his assets are frozen, Lucious and Thirsty pay a special visit to the only man who could be behind it, Tariq. Lucious exposes the truth about the two sharing a father in front of all of Tariq’s colleagues. He gives Tariq their father’s police badge, as he was a Philadelphia cop. Maybe Tariq will just accept the badge as a peace offering? It’s the day of the People’s Ball and Jamal is stuck at home, going through withdrawals from his pills. Cookie rushes to his side but won’t give in to give him the pills…at first. She eventually caves in and opens up Jamal’s sink drain to get some of his pills that she threw down the other day. That’s one tough position to be put in! What? Takeem is back on? I can’t tell if Hakeem and Tiana are only in it for publicity or if it’s for real. At least Hakeem isn’t fighting Andre for Nessa. Finally realizing that he needs to take care of things on his own, Andre has a conversation with Rhonda, telling her that she needs to let him go. Before she leaves, she makes him promise that he’ll take care of Anika for what she did to her and their baby. He takes his ring off before he throws it into the water, knowing he is free. It’s better to show up a little late than never, right? Let’s hope that’s the case for Jamal. Jamal gets out on the stage and everyone is holding their breath to see what he’ll do. It’s hard to believe that Jamal had a hard time with performing because he’s killing this performance! The only one not celebrating is Lucious because he was hoping Jamal would fail. Tariq isn’t too happy that he got played by Shine. Since he was the one who gave Tariq the video with Freda’s rap, he’s not sure why Shine would turn around and spot Lucious money when his assets became frozen. What Tariq doesn’t understand is how powerful Empire is and that many would do anything to have a seat high up on the throne. It’s nothing too personal. After his sensational performance, Jamal comes off stage to be told that he’s going to rehab. All of his friends and family are there to support him, even Lucious. At least he goes willingly. I’ve seen a lot of Intervention episodes where they fight until the death to try and prove they don’t have to go. Stay strong, Jamal. I can’t believe Diana thought Lucious would be okay with her not sticking to her end of the deal after he did what she asked him to do. Lucious presents Angelo with a little surprise from Cruz and a cameraman who asks him about what happened on the evening of October 5, 1988. Of course, Cookie is there to hear everything. What Cruz is questioning about is when Angelo was 17-years-old and received a D.U.I. Cookie is quick to defend Angelo of a little D.U.I. since everyone has a past. 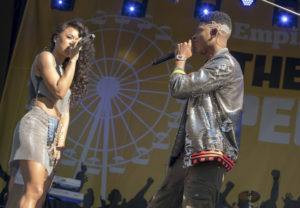 Just look at her and Lucious! Cruz tells Cookie that while a D.U.I. isn’t that big of a deal, most people don’t drink and drive into a lake where they save themselves and leave a young girl to die in the car. He has a point there. Lucious was finally able to find the one thing that made Angelo just like him. Everyone has a past and Lucious was determined he could find something in Angelo’s past that would make Cookie see him differently. How does Andre always find out who the rat is before anyone else? He finds Shine to tell him that he knows he worked with Tariq to get Empire’s assets frozen. Shine knows that Andre is crazy but I don’t think he was expecting to hear what came out of his mouth. Andre suggests that if the two are going to work together, he is going to pull all the strings on the business end and when it comes to dealing with Nessa. All they have to do is wait for the right moment to strike and kill Lucious. Say what?! What were your thoughts on the fall finale of Empire? Do you think Andre is serious about killing Lucious? If he is, do you think Shine will either tell Lucious or Tariq about his plans to keep himself out of it? I can’t really see Nessa being okay with Andre killing his dad. Now that Cookie heard about Angelo’s past, will she stay with him? This could all be a lie but Diana even went as far as working with Lucious to make Cruz go away. Will Jamal do well in treatment? Who do you think Lucious will pick? His mom or Anika and Bella? Leave your thoughts in the comment section below.